The demand for up-to-date sprinkler systems and repairs has seen sprinkler specialists Indigo Fire Systems Ltd (IFSL), grow dramatically. Although an excellent sign for the company, this meant that documentation and compliance was now a huge admin task. IFSL sought a solution that would relieve the pressure on staff to manually handle incoming job forms and paperwork from field operatives. For Indigo Fire Systems Ltd (IFSL), the decision to remove the paper trail between the office and field team was part of the business's growth strategy. Based in Portsmouth, Havant, IFSL is an established Fire & Security company with a nationwide reach. Growing businesses can often suffer inefficiencies within the operations and field maintenance arms of the business. 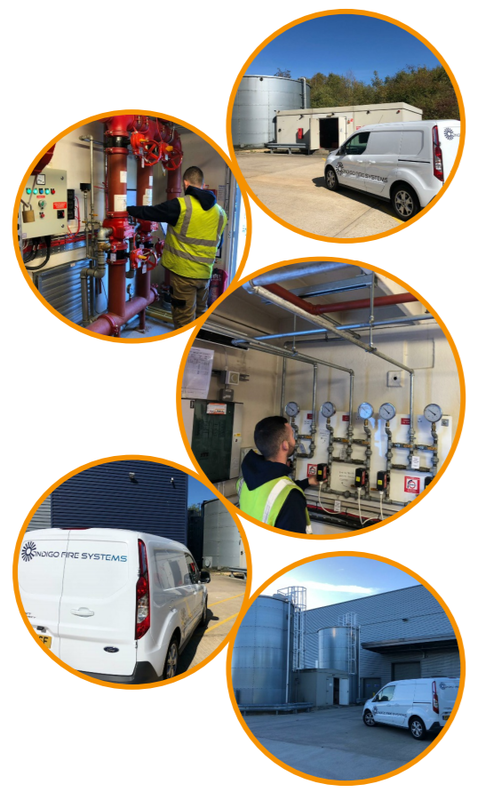 Keen to head this off before it became an issue, owner and Director, Simon Shoesmith, looked to reduce the sheer amount of paperwork the field engineers and office staff were processing for Sprinkler Reports and Tests in order to free up resources for more important tasks. With an expertise in sprinkler systems and risers, Simon knew how important it was to efficiently manage records from all sites. "We can't ignore any detail in our industry. Every installation and inspection must be recorded accurately and correctly. This obviously takes time, so we needed a system that could speed things up." After the initial trial period, Simon was confident that pro-Forms® could contribute to achieving a paperless workforce and the system quickly became a fundamental part of Indigo's daily operations and maintenance activities. Improved reporting across the company. All visited sites and jobs now had a digital trail of forms that are securely stored in the cloud and easily accessible in a moment's notice. Office staff now have better insight into field activities as images can be attached to any mobile form. No more missing, damaged or unreadable documents as all forms are sent straight from the mobile app to the office for processing. Forms submitted in low/no-signal areas are sent out automatically when a data connection is received. Form level calculations meant less work for engineers out in the field and accurate reporting for the team back in the office. Double-handling & entry of data is now a thing of the past which not only saves time, but eliminates potentially costly errors. Having quickly got to grips with mobile forms, IFSL will be moving to the pro-Forms® Job Management tools with the aim of enhancing job planning, scheduling and progress monitoring. pro-Forms® is able to dispatch jobs to IFSL's engineers who are already out in the field. Engineer's will receive a notification in their mobile app of incoming jobs containing key information such as access notes and job details. Emergency call-outs or scheduled appointments are prioritised in their job list so they know exactly where to be & when,ensuring IFSL clients receive the best possible customer service. The team at IFSL have shown real enthusiasm towards their shift from paperwork to paperless and have quickly seen the benefits that paperless data collection has brought to the office.